NEWS CONFERENCES, BRIEFINGS, AVAILABILITIES, ETC. LOS ANGELES — Sen. Scott Wiener, Asm. Miguel Santiago and others urge Governor to sign SB 822, would “enact the strongest net neutrality standards in the nation.” 10 a.m., State Building, 300 S. Spring St. Contact: Victor Ruiz-Cornejo 415 604 6817. Also listed: Pres. Trent Lange, California Clean Money Campaign; Sandra Fluke, Voices for Progress. Pat Sabelhaus, California Council for Affordable Housing, Sacramento; Pres. Michael Costa, Highridge Costa Housing Partners, and others, TELECONFERENCE, announce “their strong opposition to Prop. 10, the measure that repeals the Costa-Hawkins Rental Housing Act, including protections for tenants and single-family homeowners,” also discuss how the measure, “which is funded by Los Angeles activist Michael Weinstein, will undermine the state’s efforts to tackle California’s affordable housing crisis” and “would further slow the production of more units for low- and middle-income Californians.” 10 a.m., 800 230 1074. Contact: Steven Maviglio 916 607 8340. SAN FRANCISCO — Insurance Commissioner Dave Jones and others release “first data on the total insurance claims reported for residential and commercial losses” following the recent Carr and Mendocino Complex wildfires from this summer, also releases updated data for 2017 California wildfires and 2018 mudslides, and announces Dept. of Insurance report “that shows how climate change is a contributor to fire losses in California.” 10:30 a.m., 45 Fremont St., 22nd Floor. Contact: 916 492 3566. Teleconference for credentialed media only: 800 230 1092. District Attorneys Jeff Reisig (Yolo) and Anne Marie Schubert (Sacramento) and other members of California District Attorney Assn. SB 1391 (fitness for juvenile court) and SB 1437 (accomplice liability for felony murder), cite “lack of constitutional authority to enact the legislation and serious threats to public safety.” 11:30 a.m., CA District Attorneys Assn. Training Room, 921 11th St., Ste. 300. Contact: Jennifer Jacobs 858 518 1932. Also listed: DAs Todd Riebe (Amador) and Vern Pierson (El Dorado); Victoria Hurd, daughter of Claudia Maupin, who was murdered by Daniel Marsh, who was sixteen years old at the time. Senate, Assembly — Final Recess. The Maddy Report California’s Concealed Carry Permits: The Wild West of Permitting? Nothing public announced as of 6:20 a.m. Contact: 916 445 4571. DANA POINT — Bill Brough State Assembly 2018 (73rd AD), “district birthday celebration,” Host $4400 (6 VIP and general reception tickets, one round of golf), Co-Host $1500 (4 VIP and general reception tickets), Golf only $1500, VIP Reception $250, General reception $125, Tee time 12:30 p.m., Monarch Beach Golf Links, 50 Monarch Beach Resort N. Contact: 530 713 1910. VIP Reception 6 p.m., general reception 6:30 p.m., Ketel One HQ, 30 Journey, Aliso Viejo. (Kevin) McCarty for Assembly 2018 (7th AD), reception, Keg $4400, Double IPA $2500, IPA $1000, Ale $500, Pilsner $250, Lager $100, Ticket $50, 5:30 p.m., SacYard Community Tap House, 1725 33rd St. Contact: 916 551 1430. Jackie Smith for Assembly 2018 (6th AD), “drag queen” reception, VIP $100, Ticket $25, 5:30 p.m., FACES Nightclub, 2000 K St. Contact: 916 899 9173. Listed to attend: BOE member Fiona Ma; Sen. Ricardo Lara; Asm. Evan Low. SOQUEL — Friends of Mark Stone for Assembly 2018 (29th AD), reception with musical guest Melissa Etheridge, Co-Host $1000, Co-Sponsor $500, Friend $250, Ticket $99, 5:30 p.m., Home of Jozee and Cricket Roberto, on S. Rodeo Gulch. Contact: 831 234 5885. MONTEREY PARK — Ed Chau for Assembly 2018 (49th AD), birthday celebration dinner, Gold $4400, Silver $2500, Bronze $1500, Ticket $150, 6:30 p.m. reception, 7 p.m. dinner, Ocean Star Restaurant, 145 N. Atlantic Blvd. Contact: 916 400 3721. The office of Asm. Jordan Cunningham has hired Nick Mirman as chief of staff. Mirman previously worked in the Assembly Republican Caucus Office of Member Support for three years, and before that worked at public affairs firm River City Communications in Folsom. He started the job Aug. 6 and succeeded Chris Finarelli, who is now working for Sen. Ling Ling Chang. The office has also hired Gianna Rogers as a legislative assistant and scheduler. She previously worked as an office assistant for Asm. Chad Mayes and started her new job Tuesday. Contact: Keegan Koberl 805 549 3381. Californians Aware (CalAware), a nonprofit organization that supports “citizens’ access to governmental meetings and records,” reports naming Emelyn Rodriguez as executive director. Rodriguez is an attorney and founder of Rodriguez Political Law, and was on CalAware’s board of directors for eight years. She was previously senior commission counsel with the Fair Political Practices Commission for 13 years, where she specialized “in conflicts of interest rules under the Political Reform Act” as well as open meeting laws, lobbying rules and campaign finance laws. Before that, Rodriguez was the Oakland Tribune’s Capitol Bureau Chief. Her first day was Aug. 31 and she succeeded Emily Francke, who left to pursue a nursing career. Contact: Terry Francke 916 487 7000. State Board of Education, first of two days, considers adopting state’s first computer science education standards; also considers updating website for California School Dashboard, state’s new educational accountability system, and adding State Seal of Biliteracy, the Golden State Seal Merit Diploma and completion of Reserve Officer Training Corps (ROTC) to the college and career readiness indicator on the dashboard; other business. 8:30 a.m., 1430 N St., Rm. 1101. 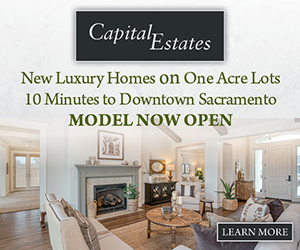 Contact: Janet Weeks 916 319 0313. Item by John Fensterwald of EdSource. EUREKA — Coastal Conservancy, considers granting $9.75 million to The Wildlands Conservancy for it to purchase from the Fallbrook Public Utilities District for $10.4 million 1,390 acres along the Santa Margarita River to establish the Santa Margarita River Trail Preserve; since the 1950s Fallbrook PUD has owned the property that contains a trail system used by birders, equestrians, hikers, mountain bikers and others which attracts “more than 60,000 trail users per year;” other business. 9 a.m., Wharfinger Building, #1 Marina Way. Contact: Taylor Samuelson 510 286 4182. State Personnel Board, considers allowing State Compensation Insurance Fund to abolish its list of eligible candidates for Program Manager I and II positions and advise candidates they will need to take new online examinations for those jobs; other business. 10 a.m., 801 Capitol Mall, Rm. 150. Contact: Andrew LaMar 916 322 6944. SAN DIEGO — Board of State and Community Corrections, considers revisions to juvenile detention regulations that would require more detailed reporting of incidents that involved use of force, would allow pepper spray or mace to be used “only after sufficient attempts at de-escalation of potentially violent situations” and would make other changes intended to aid prisoner welfare; other business. 10 a.m., Sheraton San Diego Hotel & Marina, 1590 Harbor Island Dr., Bay View Tower. Contact: Adam Lwin, adam.lwin@bscc.ca.gov. Gambling Control Commission, considers granting renewal of state gambling license for Racxx cardroom and its owner and sole proprietor Michael Lincoln, who has not yet secured a location in which to run a gambling establishment, but is required to keep the license active until he’s able to secure a location; other business. 10 a.m., 2399 Gateway Oaks Dr. Contact: Fred Castano 916 263 1522. FOUNTAIN VALLEY — Reform California Chair Carl DeMaio addresses luncheon meeting sponsored by Orange County Federation of Republican Women, urges support for Prop. 6 (gas tax repeal) and discusses “the good, the bad and the ugly of each issue and how they will affect California into the future.” $28. 10:30 a.m., Mile Square Golf Course, 10401 Warner Ave. Contact: Cynthia Thacker 714 749 6585. Other speakers listed: Nick Adams, Foundation for Liberty and American Greatness. CUPERTINO — Former Asm. Tim Donnelly, Republican candidate for CD 8, addresses luncheon sponsored by Silicon Valley Republican Women Federated, discusses “how the Left is destroying America–and how the GOP is enabling them.” $24. 11:30 a.m., Blue Pheasant Restaurant, 22100 Stevens Creek Blvd. Contact: Doris Sloniker 408 705 2904. SUNNYVALE — Sen. Bob Wieckowski addresses Board of Directors for Santa Clara County Cities Assn., discusses “the latest news regarding accessory dwelling units.” 7:05 p.m., City Hall, 56 W. Olive Ave. Contact: Jeff Barbosa 916 651 4010. California Craft Beer Summit and Beer Festival, sponsored by California Craft Brewers Assn., first of three days, includes exhibits, educational sessions on the “brewing, business, selling, tasting and hospitality industries,” “Tap Talks with brewing legends,” chef demonstrations and regional beer tastings. 10 a.m., Sacramento Convention Center, 1400 J St. Contact: 916 228 4260. Saturday events: Brewers Breakfast at 9 a.m., West Steps, for CA Craft Brewers Assn. membets; then beer festival featuring 160 breweries offering more than 450 beers, Noon to 4 p.m., 7th and Capitol Mall. 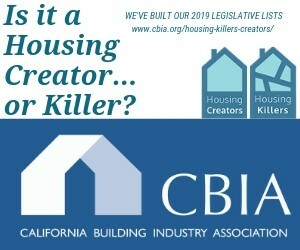 LOS ANGELES — Center for California Real Estate, an institute of CA Assn. of Realtors, holds summit to discuss “potential solutions to the housing affordability crisis and inform the policy agenda for the year ahead.” 10 a.m., The InterContinental Hotel – Century City, 2151 Avenue of the Stars. Contact: Michael Marando 916 448 5802. Among listed speakers: Asm. Brian Maienschein; Sen. Scott Wiener; Joel Singer, CA Assn. of Realtors; Ben Metcalf, CA Dept. of Housing and Community Development; Dan Dunmoyer, CA Building Industry Assn. ; Rob Lapsley, California Business Roundtable; Peter Lynn, Los Angeles Homeless Services Authority; Mary Leslie, Los Angeles Business Council; Kevin Zwick, Housing Trust Silicon Valley; Carolyn Coleman, League of California Cities. SAN JOSE — “Minority Women’s Business Conference,” sponsored by CalAsian Chamber of Commerce and others, luncheon address by Eleni Kounalakis, Democratic candidate for Lt. Gov. ; also panel discussion on women in politics with Controller Betty Yee, Board of Equalization member Fiona Ma, Fremont Mayor Lily Mei and Annie Lam, Lam Consulting Group. $35. 10:45 a.m., Forager Tasting Room & Eatery, 420 S. 1st St. Contact: 916 446 7883. GLENDORA — Appointments training workshop sponsored by California Women Lead and Citrus Valley Assn. of Realtors, participants discuss “state and local issues” and “learn about what it takes to be appointed to a board/commission/committee at the local and state level.” 6 p.m., Citrus Valley Assn. of Realtors – Education Center, 504 East Route 66, Suite 895. Contact: 916 410 7506. Listed speakers include: Asm. Blanca Rubio; Rachel Michelin, California Women Lead. LANCASTER — Asm. Tom Lackey and Sen. Scott Wilk co-sponsor 8th Annual Job Services Network Job Fair, registrants meet with employers and “receive job search advice from experienced recruiters.” 10 a.m., West Coast Baptist College, 44538 40th St E. Contact: Tim Townsend 916 319 2036. WOODLAND — Members of California Nurses Assn./National Nurses United question proposed merger of Dignity Health and Catholic Health Initiatives at hearing sponsored by AG Xavier Becerra’s office, seek “commitment to keep hospitals open to serve the community for a minimum of 15 years.” 1 p.m., California Agriculture Museum, 1962 Hays Lane. Contact: Kari Jones 510 433 2759. SAN FRANCISCO — Memorial service in honor of former Assembly Republican Leader Paul Priolo, who died July 22 at the age of 91. 5 p.m., The University Club, 800 Powell St. Contact: Linda Muir, lmuir@mindspring.com. Capitol LGBTQ Assn. sponsors “no-host September mixer,” members celebrate end of session, discuss becoming candidates for its board of directors and “ideas for a great interim session event.” 5:15 p.m., Capitol Garage, 1500 K St. Contact: Nicole Restmeyer, capitollgbtq@gmail.com. LONG BEACH — Asm. Patrick O’Donnell and Long Beach City Councilwoman Lena Gonzalez host community coffee. 6 p.m., Studio 111, 245 East 3rd. Contact: Sophia Kwong Kim, Sophia.Kwong@asm.ca.gov. LOS ANGELES — Los Angeles County Democratic Party Chair Mark Gonzalez “donates his birthday to making the big blue wave a reality,” hosts fundraiser, “dinner, drinks and cake,” suggested contributions $35-$1000. 6 p.m., Home of Nilza Serrano, Address upon RSVP. Contact: 562 587 6584. WEST SACRAMENTO — Joe DeAnda, assistant division chief for external affairs at CalPERS who is running for mayor of West Sacramento, hosts meet and greet, discusses campaign. 6 p.m., Bryte VFW Post 9498, 1708 Lisbon Ave. Contact: 916 374 7435. OAKLAND — Asm. Tony Thurmond, candidate for Supt. of Public Instruction, hosts town hall on “school gun violence as a public health crisis,” discusses “policies and programs for schools to mitigate this escalating issue, and educate communities on what they can do to help.” 6 p.m., Oakland Public Library Rockridge Branch, 5366 College Ave. Contact: ryan@tonythurmond.com. Also listed: Ilana Samuels, Sandy Hook Promise; Peter Ambler, Giffords: Courage to Fight Gun Violence; Chris Chatmon, Oakland Unified School District; Rosina Keren, Berkeley Unified School District. Participants in the Sacramento Film and Music Festival gather for launch of its 10 x 10 challenge, filmmakers have 10 days to make a 10-minute film. 7 p.m., West Steps. Contact: 916 600 7029. Films shown Sept. 30 at Esquire Imax. Details here. Recent filings with Secretary of State. CLIENT ADDITIONS (Lobbying firm, client name, filing date): Ortega Strategies Group, Suburban Water Systems, 8/31/18. CLIENT DELETIONS (Lobbying firm, client name, filing date): Pacific Expeditors Consulting Services, 3B Enterprises LLC, 8/31/18. NEW REGISTRATIONS (Lobbyist name, firm name, filing date): Whitney Ifcher, Goldman Sachs Asset Management, 9/4/18. LOBBYISTS TERMINATING REGISTRATION (Lobbyist name, firm name, filing date): Elizabeth Imholz, Consumer Reports, Inc., 9/4/18. SPONSORED COMMITTEES (Committee’s name, Name of Sponsor(s) [contributor of 80% or more of committee funds], “Purpose,” Treasurer’s name, address and phone number; Principal Officer(s) name, address and phone number if provided): Tides Advocacy Projects in support of Thurmond for Superintendent of Public Instruction, Tides Advocacy; LUCC Action; IE United, Supports Tony Thurmond for Supt. of Public Instruction, Romilda Justilien, 1014 Torney Ave., San Francisco, CA 94129, 415 561 6400; Romilda Justilien, 1014 Torney Ave., San Francisco, CA 94129, 415 561 6400. John Cox’s campaign for Governor reports launching a new website, “Gavin Newsom: Asleep at the Wheel,” highlights “Newsom’s failed record as Mayor of San Francisco and Lieutenant Governor,” says “Newsom’s once-heralded ‘Ten Year Plan to Eradicate Homeless’ in San Francisco” is the website’s “first feature” and says “like many of Newsom’s lofty promises, the plan fell terribly short and left the city reeling, spiraling deeper into homelessness and despair, to the extent that residents now pass by homeless encampments and step over heroine needles on the streets.” Release here. Cox, a Republican, is a businessman from San Diego. Contact: Matt Shupe 415 735 8491. Sen. Ed Hernandez’s campaign for Lieutenant Governor has released results from a poll conducted by FM3 Research that shows “a dead heat in the race,” says Hernandez and his opponent, Eleni Kounalakis, tied at 26% with 48% of respondents remaining undecided and after hearing positive and negative statements about both candidates, 44% of respondents supported Hernandez, 28% supported Kounalakis and 28% remained undecided. Release here. Hernandez, a Democrat, is an optometrist who has served in the Senate since 2010 and was in the Assembly from 2006-2010. Contact: Dave Jacobson 818 943 2348. Mark Meuser’s campaign for Secretary of State cites Los Angeles Times article that ran under the headline: “More than 23,000 Californians registered to vote incorrectly by state DMV,” Meuser says: “This is further eradicating people’s trust in our voting system. It should be the Secretary of State’s mission to ensure that we have integrity in our elections and people can trust their outcomes, but it is obviously not.” Release here. Meuser, a Republican, is the founder of Meuser Law Group in Walnut Creek. Contact: Victoria Mosby 925 392 5858. Josh Harder’s campaign for CD 10 reports that incumbent Jeff Denham “rejects Univision and Mi Familia Vota debate;” Harder says: “Congressman Denham cares more about his donors and the special interests that fund his campaign than he does about answering to the needs of the Latino community.” Release here. Harder, a Democrat, is a venture capitalist. Contact: Nicole Nabulsi 949 371 3094. Andrew Janz’s campaign for CD 22 reports releasing a new television and digital ad, “High and Dry,” criticizes incumbent US Rep. Devin Nunes for “handing out special interest favors instead of solving the water crisis devastating Valley farmers and families,” says “Nunes has never passed a water bill in the nearly two decades he’s served in Congress, and in fact, pushed for a bill that helped his corporate mega-donor use more water than anyone else in California.” Release here. Janz, a Democrat, is a deputy district attorney in the Fresno County District Attorney’s Office. Contact: Clara Varner 559 761 6236. Gil Cisneros’ campaign for CD 39 reports a federal court in Texas yesterday began hearings “on the Republican backed lawsuit to suspend the Affordable Care Act” while opponent Young Kim “continues to refuse to call out the Trump administration” and “has made it clear that she opposes the ACA and the protections it provides;” also reports an endorsement from Los Angeles/Orange County Building and Construction Trades Council. Release here and here. Cisneros, a Democrat, is a former Navy Lieutenant Commander and is president of The Gilbert & Jacki Cisneros Foundation. Contact: Nic Jordan, nic@cisnerosforcongress.com. Sen. Andy Vidak’s re-election campaign for SD 14 reports endorsements from the Kern County Farm Bureau and the Kings County Farm Bureau. Release here. Vidak, a Republican, was elected to the Senate in 2013. Contact: Ross Sevy 559 425 8487. Joy Silver’s campaign for SD 28 reports an endorsement from Pro Tem Toni Atkins. Release here. Silver, a Democrat, is an aging issues consultant and worked as chief strategy officer of Choices Women’s Medical Centers in New York from 2012 to 2015. Contact: Dan Rottenstreich 619 213 9839. Asm. Dante Acosta’s re-election campaign for AD 38 says opponent Christy Smith “recently issued a press release complaining about ‘big corporate money’ flooding into the race for AD 38,” says: “Presumably this means her campaign will no longer be taking Democratic Party monies, which are largely made up of big corporate and union contributions. Christy Smith has received well over $1 million and counting from the Democratic Party over the past two years, and it continues in her current campaign. See records here.” Release here. Acosta, a Republican, was first elected to the Assembly in 2016. Contact: Duane Dichiara, ddichiara@axiomstrategies.com. James Ramos’ campaign for AD 40 reports having released its first TV ad, highlighting “the Ramos record – working for more services for homeless veterans and growing the local economy” and includes “his commitment to safe neighborhoods and the support he has from various law enforcement groups and Crime Victims United.” Release here. Ramos, a Democrat, is a San Bernardino County Supervisor and was first elected in 2012. Contact: Andrew Acosta, Andrew@acosta-consulting.com. Cottie Petrie-Norris’ campaign for AD 74 reports an endorsement from US Sen. Dianne Feinstein. Release here. Petrie-Norris, a Democrat, works in finance and serves on the advisory board for Women for American Values and Ethics. Contact: Derek Humphrey 951 805 4167. Chad Bianco’s campaign for Riverside County Sheriff reports endorsements from Sen. Jeff Stone and Riverside County Supervisor Chuck Washington. Release here. Contact: Andre Levesque 916 626 6804. Yes 4 Children’s Hospitals, campaign in support of Prop. 4 that would authorize $1.5 billion in bonds for construction and expansion of children’s hospitals, reports endorsements from the San Gabriel Chamber of Commerce, San Gabriel Valley Economic Partnership, and the Regional Chamber of Commerce–San Gabriel Valley. Release here. Contact: Joaquin Ross 916 595 0123. Opponents of Prop. 5, would allow people who are severely disabled or over 55 to transfer their property tax assessment from a previous home to a new one with the same value, distribute a survey conducted by David Binder Research from Aug. 13-19 that finds “only one-third supported the measure, with 12% undecided, showing a significant uphill climb for this measure to receive majority support.” Release here. Contact: Mike Roth 916 444 7170. Opponents of Prop. 10, would expand local government’s authority to enact rent controls on residential property, reports endorsements from “a bipartisan coalition of state, city and county officials,” including former LA Mayor Antonio Villaraigosa, Fresno Mayor Lee Brand and Asms. Adam Gray, Bill Quirk, Jim Cooper, Patrick O’Donnell and Tom Daly. Release here. Contact: Steven Maviglio 916 607 8340. In each section, ads are arranged from newest to oldest. In parentheses, at the end of each ad, is its expiration date. Prices for subscribers are $45/week or $155/month. Nothing public announced as of 5:45 a.m. Contact: 916 445 4571. LAGUNA BEACH — Cottie Petrie-Norris for Assembly 2018 (74th AD), reception, Blue Wave $4400, Three Arch Bay $1000, Emerald Bay $500, Laguna Canyon $250, Crystal Cove $100, ticket $50, 6:30 p.m., Address upon RSVP. Contact: info@votecottie.com. SUNDAY, FAIRFIELD — Solano, Napa and Yolo County Republican Party Central Committees, annual Tri-County Freedom Ball, Platinum $5000, Gold $3000, Silver $2000, VIP (meeting with candidates and dinner) $200, Ticket (dinner) $100, 6 p.m., Jelly Belly, 1 Jelly Belly Ln. Contact: 707 422 5000. Candidates listed to appear: John Cox (Governor), Mark Meuser (Secretary of State), Steven Bailey (Attorney General), Konstantinos Roditis (Controller), Charlie Schaupp (CD 3), Lisa Romero (AD 11). LOS ANGELES — Board of Pharmacy, considers reinstating pharmacists license for Jun Yamasaki of Altadena, who had his license revoked in 2013 for excessively dispensing controlled substances, including Norco, Xanax, Valium, Vicodin and Soma, to numerous patients without checking for prescriber authorization or reviewing patient records; other business. 9 a.m., West Coast University, 590 North Vermont Ave., Classroom 372. Contact: Laura Hendricks 916 574 7918. Agricultural Labor Relations Board, hears its chief counsel discuss ongoing litigation, including Gerawan Farming v. ALRB, in which the US Supreme Court has agreed to hear an appeal from the Fresno-based, stone fruit farming operation seeking relief from a California Supreme Court decision issued last year upholding ALRB’s authority to demand that Gerawan enter into mediation with United Farm Workers after the parties failed to reach a collective bargaining agreement; other business. 10 a.m., Employment Development Dept., 722 Capitol Mall. Contact: Santiago Avila-Gomez 916 651 7614. “Supporting the Whole Child: Practice, Policy, and Measurement,” sponsored by Policy Analysis for California Education and Learning Policy Institute, topics include organizing schools to support “whole child” and recent research on “social-emotional practices.” 10 a.m., Tsakopoulos Library Galleria, 828 I St. Contact: 650 724 2832. Listed speakers include: Asm. Kevin McCarty; Linda Darling-Hammond and Jessica Cardichon, Learning Policy Institute; Heather Hough, Policy Analysis for California Education. “Remedial Placement and Curricular Reform at California Community Colleges,” luncheon hosted by Policy Institute of California, PPIC researcher Marisol Cuellar Mejia highlights findings of a report on the efforts of “early implementers and the potential impact of reforms on student outcomes.” Noon, Capitol Event Center, 1020 11th St., Second Floor. Contact: Kelly Holt 415 291 4498. OAKLAND — “Transitioning Back to School: Gender, Mental Health, & Education Summit,” sponsored by Mental Health Services Oversight and Accountability Commission, advocates discuss importance of gender inclusive schools for children’s mental health and well being, educators discuss implementing gender inclusive and LGBTQ programs at schools. 1 p.m., Oakland Unified School District, 1000 Broadway, Suite 640. Contact: 916 445 8696. Listed speakers: Joel Baum, Gender Spectrum; Kelly King, Glendale Unified School District; Ilsa Bertolini, Sexual Health Education. SATURDAY, ONTARIO — 40th Anniversary Taxpayer Conference, sponsored by Howard Jarvis Taxpayers Assn., HJTA Pres. Jon Coupal and others provide updates on “legislation, lawsuits, ballot measures and protecting Prop. 13;” free, breakfast served. 8 a.m., Doubletree Ontario Airport, 222 N. Vineyard Ave. Contact: 916 444 9950. Listed speakers: Sen. Mike Morrell; Calimesa Mayor Jeff Hewitt; Yes on Prop. 6 (gas tax repeal) Chair Carl DeMaio; CD 31 candidate Sean Flynn. OAKLAND — Members of Critical Resistance, Stop Urban Shield Coalition and other groups mark the end of Urban Shield, “the largest SWAT training in the world held in the Bay Area from 2007 to 2018,” celebrate Alameda County Board of Supervisors vote to end the program after 2018, also demand “redirecting Urban Shield’s funding and resources into community based emergency preparedness programs that are not based on racist propaganda or police militarization.” 4 p.m., Alameda County Sheriff’s Office, 1401 Lakeside Dr. Contact: Mohamed Shekh 408 910 2618. SATURDAY, GILROY — Gilroy City Councilman Dion Bracco hosts rally in support of Prop. 6 (gas tax repeal), includes “food music and drinks.” 3 p.m., Bracco’s Towing, 720 Las Animas Ave. Contact: 408 422 1734. SAN DIEGO — California Black Health Network hosts first in a series of town halls on “solutions toward improving health conditions of African Americans and people of African descent,” discuss “specific concerns of discrimination in healthcare service, increased mental illness in the Black community and growing disparity in solutions for major illnesses between Black people and all other ethnicities.” 10 a.m., Malcolm X Library, 5148 Market St. Contact: Simeon Gant 916 224 1042. Listed speakers include: Asm. Shirley Weber. SAN FRANCISCO — Green Glam SF, a “green carpet event” during the 5th Annual San Francisco Sustainable Fashion Week International to highlight “the importance of propelling the green movement to achieve climate change solutions” and “the effects fashion has on our environment.” 6 p.m., San Francisco City Hall. Contact: Laura Plantak 415 829 9360. Listed to attend: Asm. David Chiu. LONG BEACH — Asm. Patrick O’Donnell, in partnership with Long Beach City Councilwoman Suzie Price and Port of Long Beach, holds Community Meet-N-Greet during city’s free Summer Concert Series with musical act Knyght Rider. 6 p.m., Marine Stadium Park, 5255 E. Paoli Way. Contact: Sophia Kwong Kim, Sophia.Kwong@asm.ca.gov. On Saturday, holds community coffee in San Pedro at 8:30 a.m., Siren’s Java & Tea, 356 W 7th; and community coffee in Long Beach with City Councilmember Al Austin at 10:30 a.m., Expo Arts Center, Theater, 4321 Atlantic Ave.
SATURDAY, RANCHO CUCAMONGA — Asm. Marc Steinorth honors young girl who donated money to Rancho Cucamonga Animal Care & Adoption Center, also promotes “Steinorth 100,” annual event in which he “covers the adoption fees of 100 animals.” 10 a.m. Rancho Cucamonga Animal Care & Adoption Center, 11780 Arrow Route. Contact: Alexis Leicht 916 319 2040. “Steinorth 100” begins Friday at 11 a.m. and concludes at 6 p.m. on Sunday. SATURDAY, Firefighter Career Expo, sponsored by California Firefighter Joint Apprenticeship Committee, “provides would-be first responders with an up-close-and-personal look at what it takes to become a firefighter,” includes presentations about “life on the front lines” and hands-on demonstrations including the Candidate Physical Ability Test that “proves you’re ‘fit for duty. '” 10 a.m., Firefighter Candidate Testing Center, 2560 River Plaza. Contact: Carroll Wills 916 648 1717. SATURDAY, SANTA PAULA — Asm. Monique Limón and Sen. Hannah-Beth Jackson co-host family health fair, discuss “legislative and community issues that impact the health of you and your family,” also health screenings, blood pressure and glucose checks. 10 a.m., Veterans Memorial Park, E. Ventura and S. Mill Sts. Contact: Vianey Lopez, vianey.lopez@asm.ca.gov. SATURDAY, SAN FRANCISCO — Asm. Phil Ting and SF Supervisor Sandra Lee Fewer sponsor second annual Richmond District Mid-Autumn Moon Festival to “reflect upon the bounty of the summer harvest, the fullness of the moon and the myth of the immortal moon goddess, Chang-O.” 11 a.m., Clement St. between 5th and 8th Aves. Contact: Angelina Yu 415 735 1862. SATURDAY, TORRANCE — Frank Scotto, Republican AD 66 candidate, joins “Dinner and Beer” hosted by the South Bay Republican Women’s Federated, discusses his campaign. $50. 4 p.m., Yorkshire Square Brewery, 1109 Van Ness Ave. Contact: 310 373 0377. SUNDAY, ROHNERT PARK — John Cox, Republican candidate for Governor; Steven Bailey, Republican candidate for AG and others address Sonoma County Republican Party 2018 candidate breakfast, discuss their campaigns. $25. 8:30 a.m., Doubletree Inn, 1 Doubletree Dr. Contact: 707 542 7066. Other speakers listed: Mark Meuser for Secty. of State; Konstantinos Roditis for Controller; Greg Conlon for Treasurer; Matt Heath for AD 2; Dale Mensing for CD 2; Reform California Chairman Carl DeMaio. SUNDAY, California State Capitol Museum Volunteer Assn. celebrates California’s Admission Day, marks 168th anniversary of 1850 admission into the Union as the 31st state with free cake and ice cream; also Armed Forces color guard presentation and music by barbershop quartet Checkered Past. 10:30 a.m., North Steps. Contact: Rachel Martinez 916 324 0319.